This awesome calendar gives you 365 days of uniquely flavored tea. 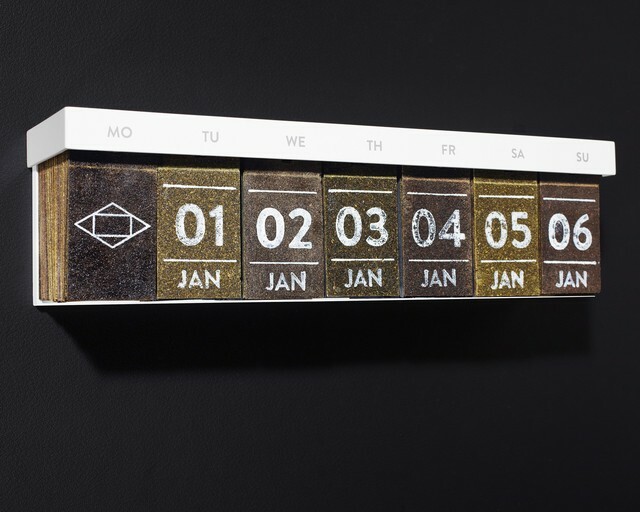 Produced by Hälssen & Lyon, each day on the calendar is actually a “wafer” of pressed tea leaves. Just tear off a day and let it steep in boiling water. Functional as both a calendar and hydration tool!